The research received funding from the National Institute for Innovation in Manufacturing Biopharmaceuticals (NIIMBL) to develop and test technologies for improving the safety testing of biologic medicines during production and prior to release. This project, which aims to rapidly and accurately detect viral infectivity in biopharmaceuticals, was one of the first four proposals funded by NIIMBL. The team, which includes Carnegie Mellon, Genentech and LumaCyte, will receive $1.5 million in funding from NIIMBL over 18 months. LumaCyte's Radiance and Carnegie Mellon's patented rapid DNA analysis platform will combine to rapidly detect the presence of virus and/or bacteria in bio process streams. Rapid DNA analysis has been in development for a number of years by Schneider and Przybycien, who is also a professor of chemical and biological engineering at Rensselaer Polytechnic Institute. 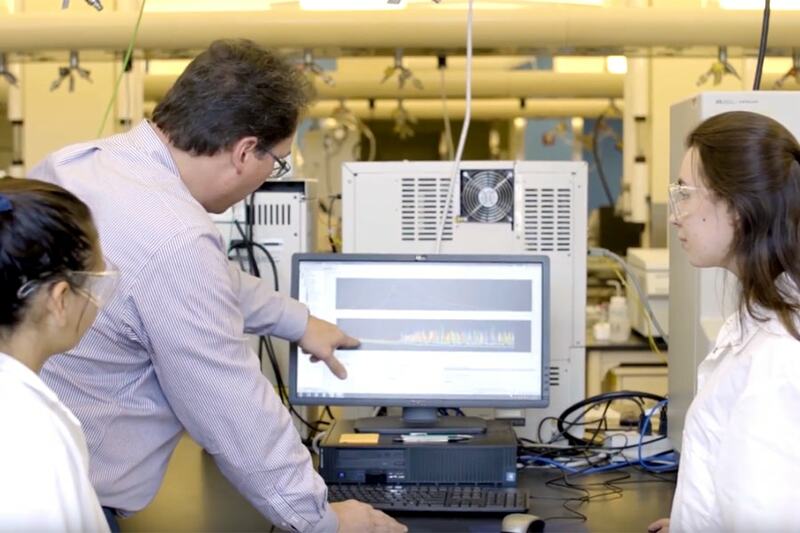 Using a rapid DNA analysis technique developed in Schneider's lab, the team is detecting viruses and bacteria in process streams used to make biologic pharmaceutical projects. By performing rapid electrophoresis, the researchers can separate tagged and untagged DNA in a sample, indicating the presence of virus or bacteria in biologic process streams. The researchers aim to combine their method with LumaCyte's LFC and Radiance technology for a faster, more reliable, and more cost-effective solution. LumaCyte's Radiance and Carnegie Mellon's patented rapid DNA analysis platform will combine to rapidly detect the presence of virus and/or bacteria in bio process streams. "The focus of NIIMBL is to translate existing technologies into biomanufacturing contexts," said Schneider. "One of the top priorities that the industry has identified is rapid adventitious agent screening. As one of the first four projects funded by NIIMBL, this research with LumaCyte and Genentech shows our commitment to collaboration between academia and the pharmaceutical industry." NIIMBL is an Innovation Institute designed to revolutionize domestic biopharmaceutical manufacturing. Funded through a $70 million cooperative agreement with the National Institute of Standards and Technology in the U.S. Department of Commerce, NIIMBL funds and collaborates on innovative manufacturing technologies that bring life-saving and life-enhancing products to market faster and at reduced cost, while maintaining safety and efficacy.